Join renowned fiddler Daniel Slosberg on a musical adventure along the Lewis & Clark Trail. Journey back 200 years to hear melodies, dance tunes and work songs of the era played on period instruments. You’ll feel like you’ve made camp with Pierre Cruzatte himself, the main boatman and fiddler with the Lewis and Clark Expedition 45 minutes, 5 vocals, 10 instrumentals. Instruments include fiddle, bones, spoons, Jew’s harp, frame drum, fiddlesticks, tambourine, deer-hoof rattles, feet, bodhran, bastringue, sounden horn. INCLUDES: La bastringue, V’la bon vent, Fisher’s Hornpipe, Shenandoah, Soldier’s Joy, Jigs: Irish Washerwoman/St. Patrick’s Day in the Morning/Top of Cork Road, Over the Hills & Far Away, Haste to the Wedding, J’entends le Moulin, Amazing Grace, Breakin’ Up Christmas, O Come All Ye Faithful, Red River Jig, Yankee Doodle, Reels: Cuckoo’s Nest/Flowers of Edinburgh. 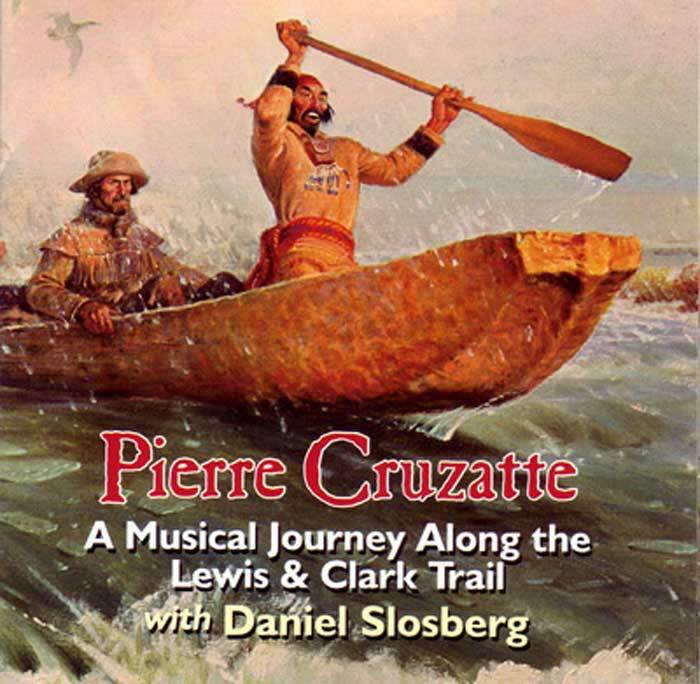 Be the first to review “Pierre Cruzatte: A Musical Journey Along the Lewis & Clark Trail” Click here to cancel reply.